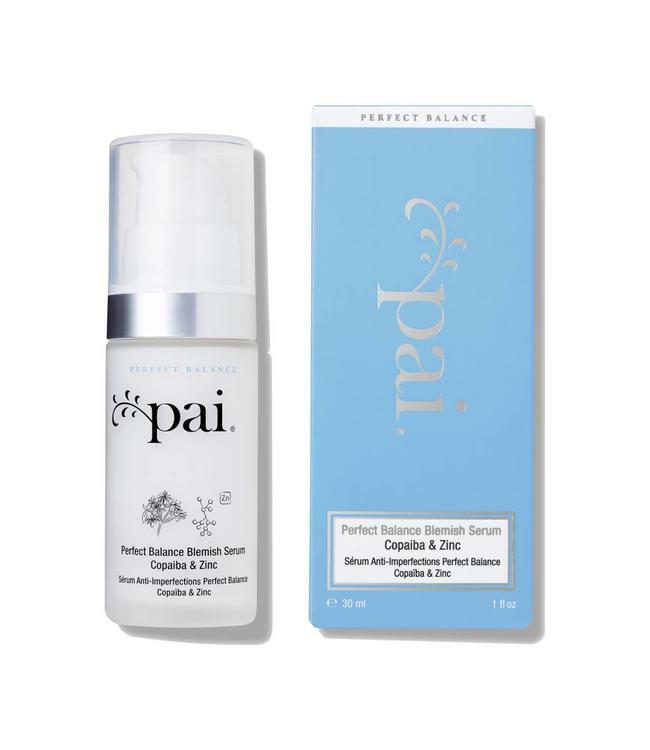 Pai Perfect Balance Serum has been expertly formulated to support skin prone to breakouts. Part of a triple-action complex, Copaiba's anti-bacterial, anti-inflammatory and antioxidant properties target both the causes and effects of persistent blemishes. 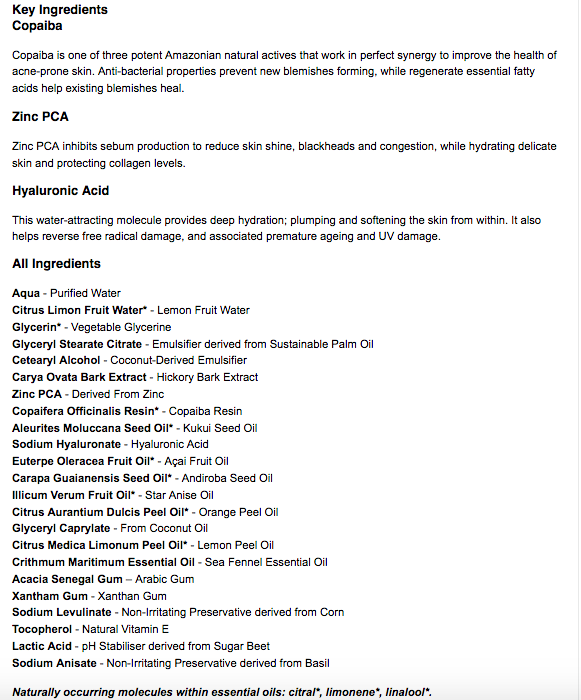 By regulating oil production, Zinc helps reduce skin shine, blackheads and congestion, while Hyaluronic Acid deeply hydrates skin to maintain skin tone and suppleness. Super concentrated but without the irritation usually associated with spot treatments, this Serum is perfect for congested skin in need of gentle care. Restores calm and clarity to acne-prone skin. Reduces sebum production by up to 65%. Anti-bacterial and anti-inflammatory properties improve the appearance of persistent blemishes by up to 72%. Maintains moisture barrier to prevent flakey skin. For Blemish Prone, Combination, Oily skin that is also Sensitive.